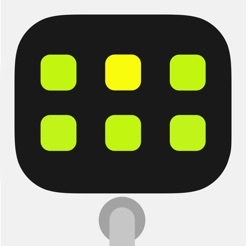 Audiobus Remote is a companion app for Audiobus which can either run on the same device or on a separate iPhone or iPad connected by Bluetooth. 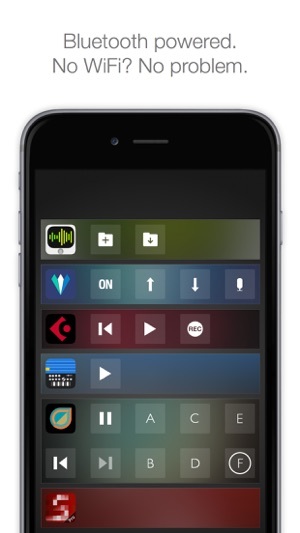 On newer devices running iOS 9 or later, Audiobus Remote also supports Split View and Slide Over mode. - Record or toggle individual loops in Loopy HD. 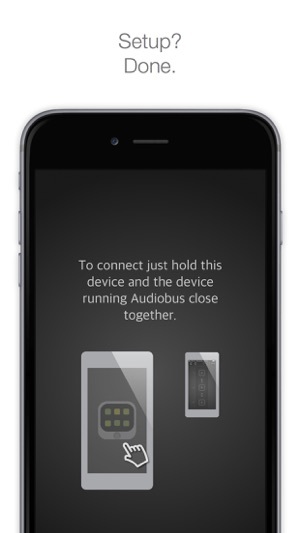 Running Audiobus Remote on a second device requires iPad 3, iPad Mini, iPhone 4s, iPod Touch 5th Generation and newer devices. Assorted minor fixes. 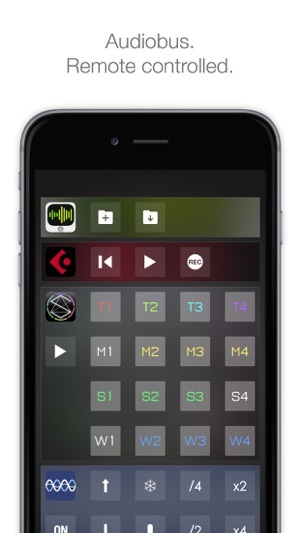 Please also update Audiobus 3 to the latest version. If you’re a musician, podcast, need to route audio, or just want to dabble in iPad/iPhone music, this app is for you. Its amazing, truly changes your options, a computer is no longer needed. The future is here- Embrace it and please support these developers. 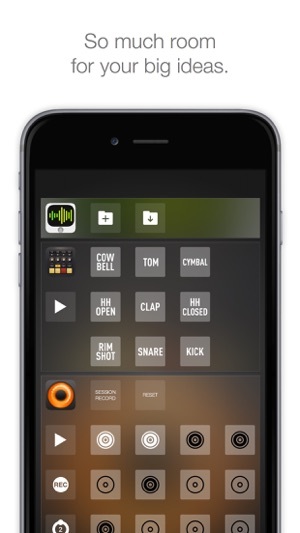 The real beauty of this app, however lies in the user forum- everyone is willing to help and share, and I’ve learned so much about iOS music making from other members. I think I’ve been using it for at least 4 years now, so thanks Audiobus!